bits-en-pieces: Maximizing my Mobile Time with PERA SWIPE in A FUN Way! 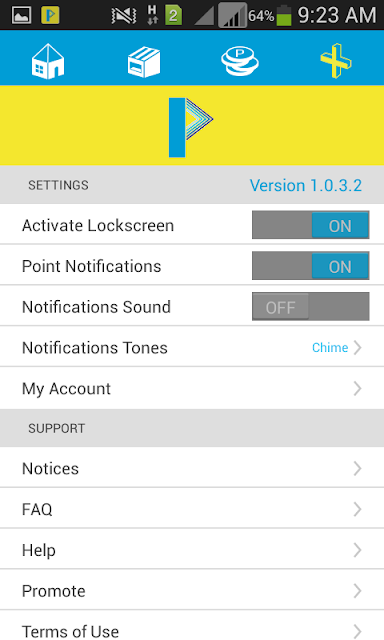 Maximizing my Mobile Time with PERA SWIPE in A FUN Way! 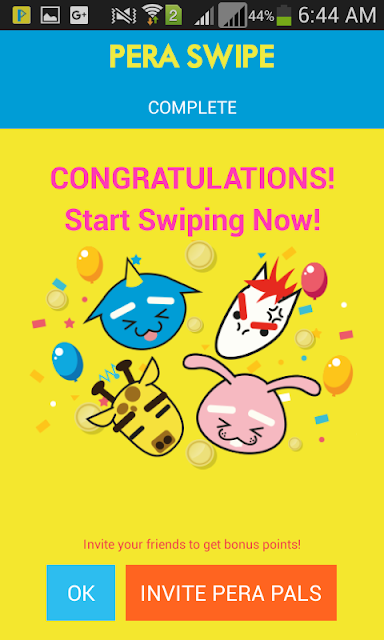 Since the last time I posted about this new craze in swiping and earning at the same time I am totally hooked with PERA SWIPE! From this post I will be walking you guys to my experience using the app from day 1 that I downloaded it. 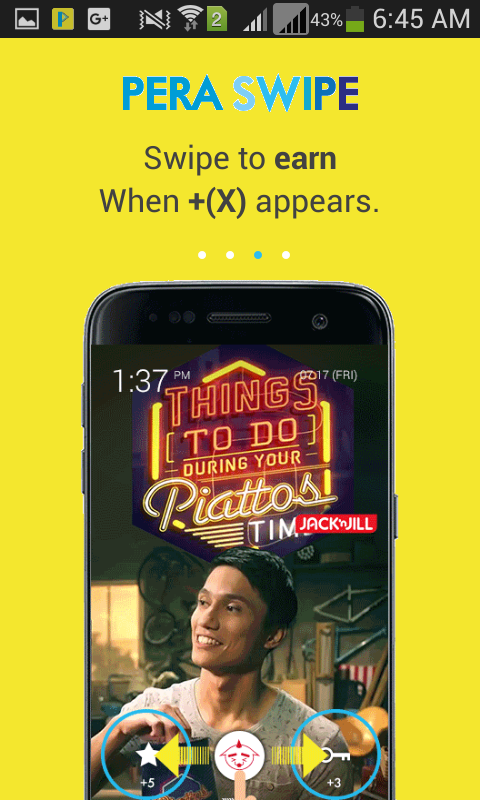 The app can be downloaded at Google Play Store, you can search it there and instantly you can see that yellow box with P or Peso sign inside. Choose that click to download. In just a few minutes the app was downloaded. 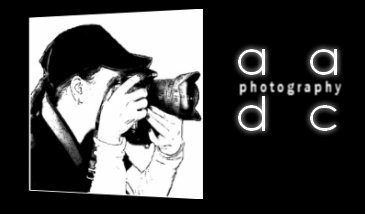 Check down below the simple guide I made through photos. 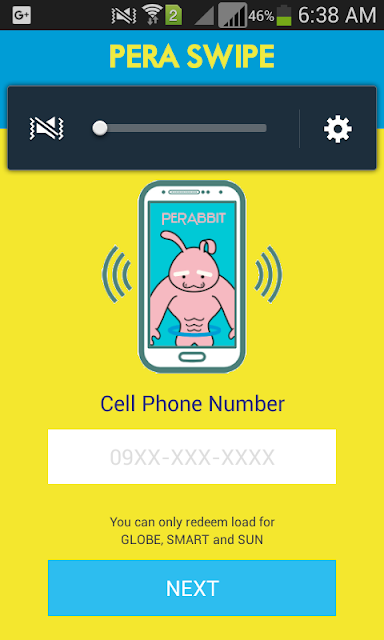 After download click the Pera Swipe Icon and this box will appear, key in you r prepaid mobile phone number (the app also accept post-paid mobile number, and you can give the points to a prepaid number later on as a gift). 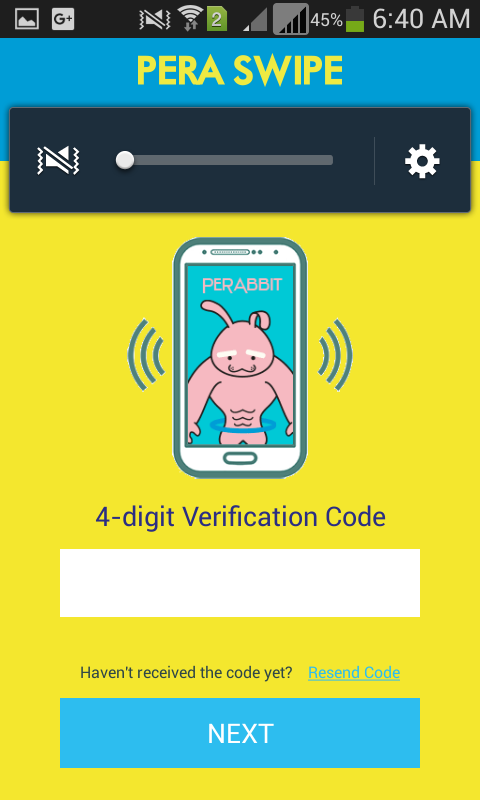 After hitting the next button from the previous screen, simultaneously you will receive a text message along with the app screen which requires you to key in the 4-digit verification code. 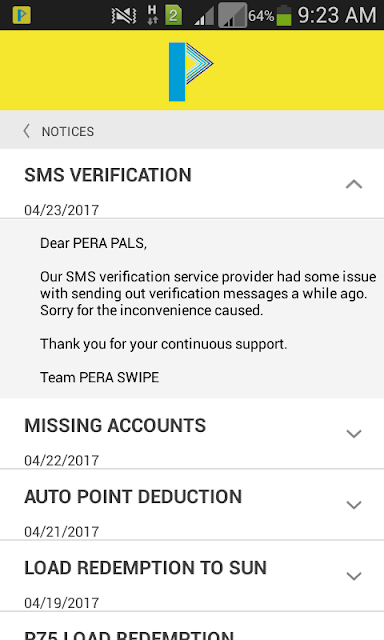 The text message came from TLNET with the prompt message "Welcome to PERA SWIPE. Start earning points for FREE LOAD! 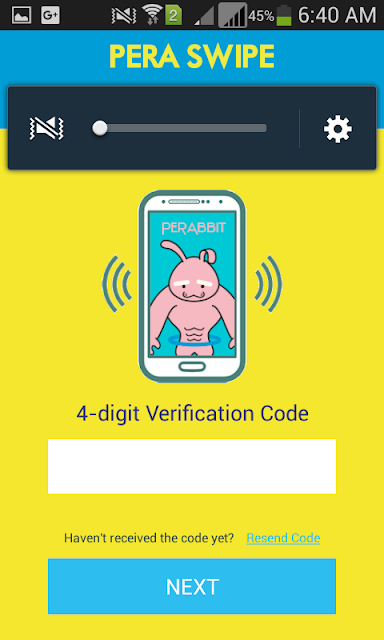 Your verification code is....". When your code matches another page needs to be filled-up. Sign-up page with all the important details for your account. 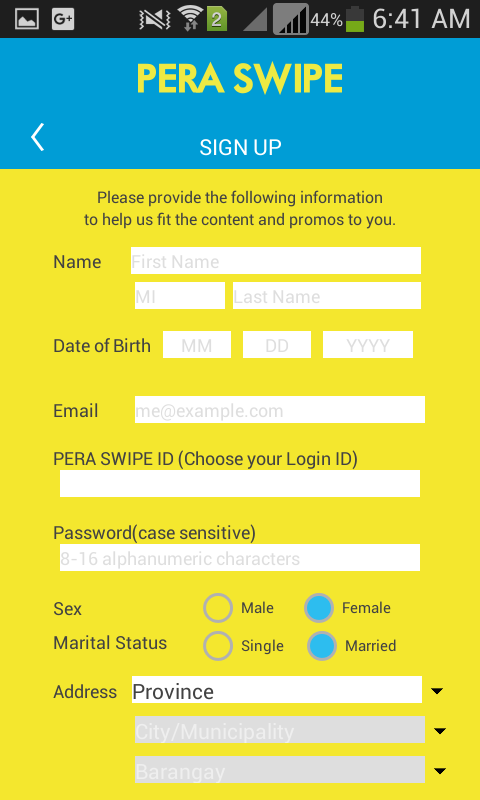 Name, date of birth, email address, PERA SWIPE ID, and other important details. 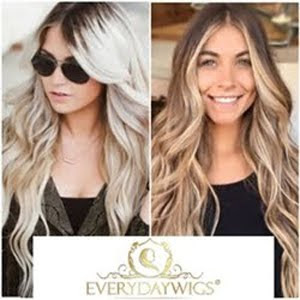 After the sign-up page it will direct you to Referral page. You can key in the PERA SWIPE Id of the person who referred you to this app. 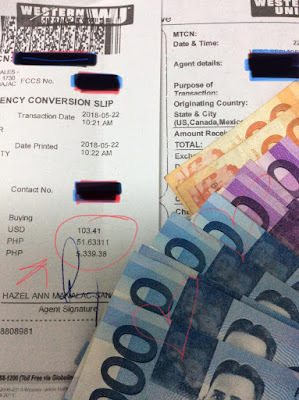 In this page is an instant bonus were I and my referrer can earn and instant P5.00! After a few page to sign-up I am in! I can now start swiping my mobile phone and enjoy the points and perks I can earn using the app, and maximize it by inviting family and friends to earn while using their mobile phones too! For a first time user I was excited on how the app will go through, and good thing there was a step-by-step guide. The interface looks so vibrant with the yellow color background also the icon. There are only few characters/ buttons to choose from and most importantly the icons for swiping and using the app every tine your trying to use your phone. When your mode is on lock-mode and you need to use it you can swipe it to the right to use unlock it and to the right to unlock + earn. 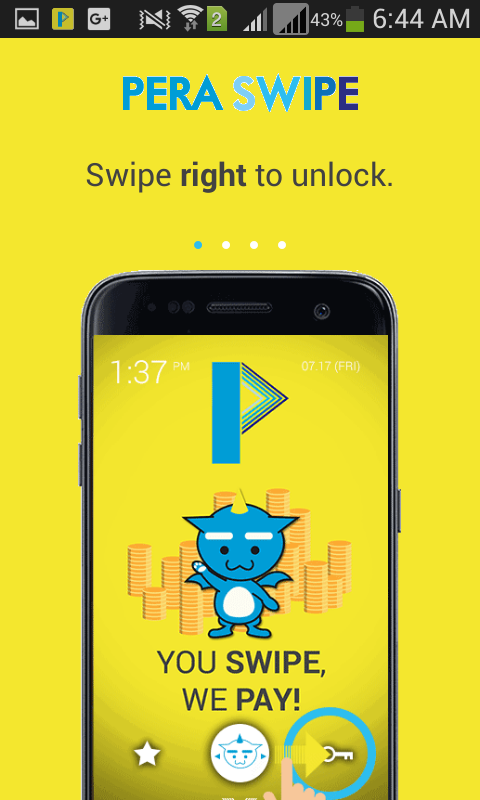 Well, for me I started automatic to unlock my phone by swiping it to the right...umm yeah the PERA SWIPE app! When unlocking your phone you will be redirected to the page of the advertisement. I like how they placed the ads on the app because it's from the products I wanted and been using and consuming. This is what my account page looks like, it has all the needed tab for your query. How many points do I have and how to earn more? All is there on the account page. There also indicates upcoming events which a user can participate and win points. 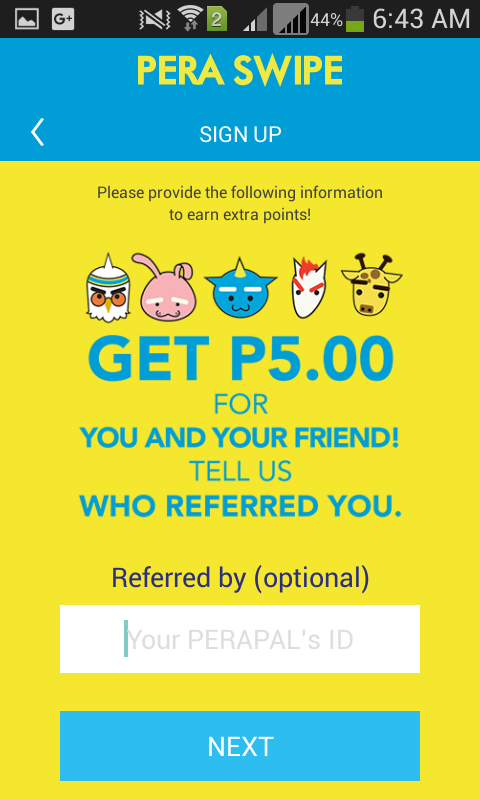 Again, on the upper part of the the app the Invite your PERA PALS Gets Bonus Points. Corresponding points I earn can be redeem to the Load Store. 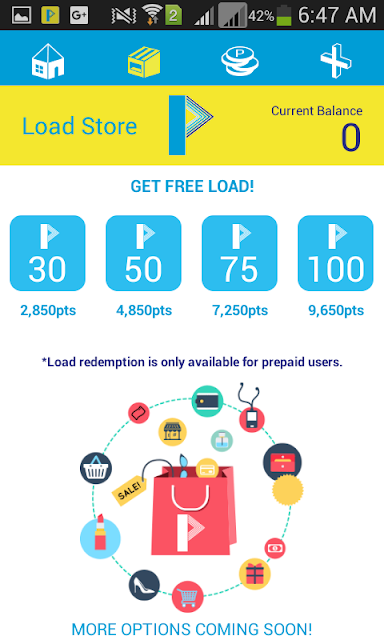 Earn points and GET FREE LOAD! Also, an item you will be noticing every time you're in your account is the NOTICES which will keep you updated with all the important details regarding the app, your account, events updates and FAQ. The items there are very easy to understand...you will never get lost. 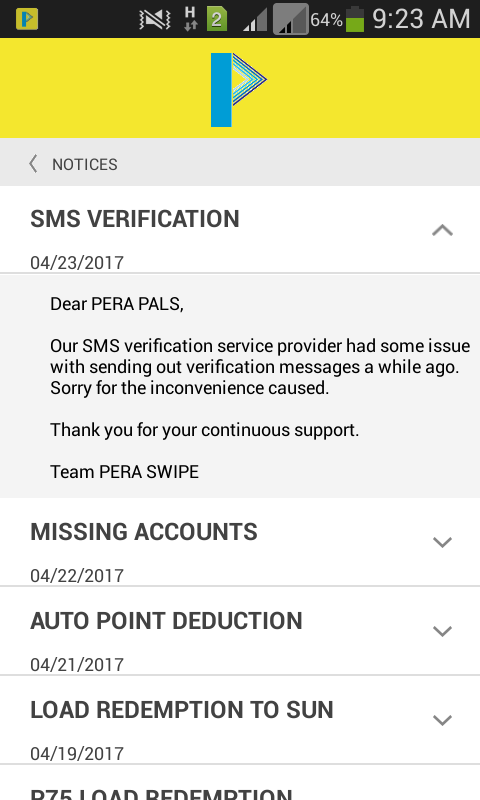 It has been five days already when I installed the app on my phone and since then I earned more than a couple of hundred of points in my account, with the same amount of time I am on my phone when I was using is without the PERA SWIPE app! I am surprised that using my phone by swiping it to unlock is equivalent to me earning points for FREE load! 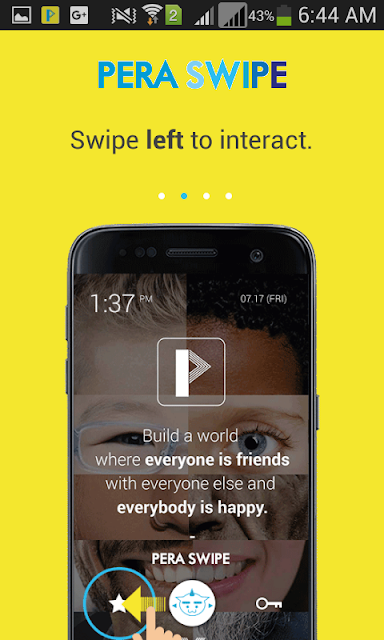 One just needs to be connected to the internet to use the PERA SWIPE app. Nowadays, there are so much ways for us to get free items specially now that technology wants to bring each people closer. You just have to discover and get join. Now, who wants FREE LOAD? 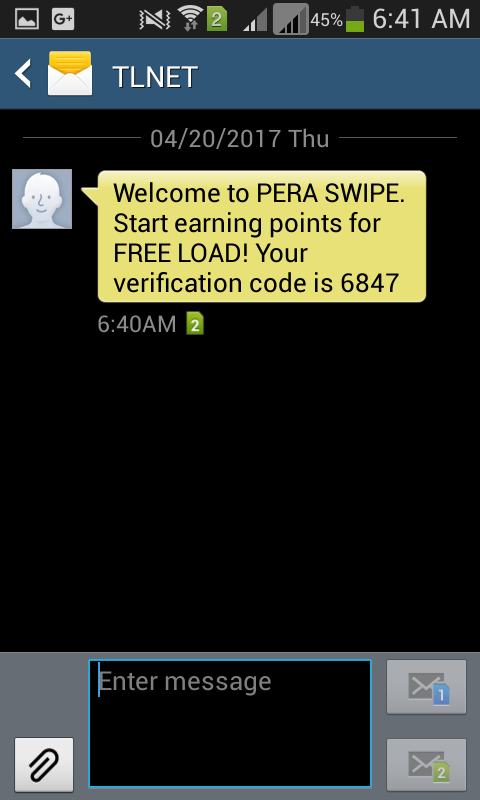 Get free load with PERA SWIPE! Use my referral ID magzdc when you sign up and get 500 points instantly!